San Francisco based quartet Tumbleweed Wanderers are a fascinating group of musicians. I say this with a great deal of sincerity. The influences that inform the songwriting of Realize, the band’s new record, may dive deeply into multiple genres, but they’ve harnessed those strong sounds into one unique style all their own. Those influences mentioned above include heavy doses of Americana, classic rock, soul and psychedelia; genres that definitely aren’t mutually exclusive, but sometimes become muddied and unfocused when songwriters and performers try to do too much at once with them. But it’s clear from the first notes of “Bad Blood” to the closing strains of “Real Eyes” that the Tumbleweed Wanderers have spent copious time honing in on their strengths and their lyrical truth when piecing this record together. It is clearly crafted and distilled, but maintains an unstudied joy and room for magical moments to occur in the studio. Opening track “Bad Blood” feels like a bit of an anomaly, but the vibe is a more literal interpretation of the band’s classic rock and soul influences with a heavy blues edge that would work well sandwiched in between the Arctic Monkeys and The Black Keys on any radio playlist. 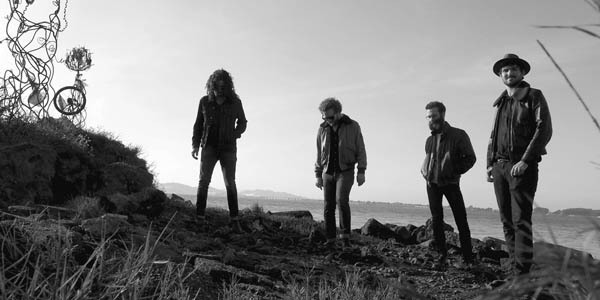 But where the band’s heart lies feels something more along the lines of the lush and large sound of My Morning Jacket. And for the best example of this there’s “Into the Mines,” a transcendently beautiful song that shows off the many layers and talents of every band member: Rob Fidel (vocals/guitar/banjo), Jermy Lyon (vocals/guitar), Patrick Glynn (keys/mandolin) and Greg Fleischut (vocals/bass/guitar). This group definitely capitalizes on the massive three-part harmonies and stellar vocal abilities of its members with confidence. “Higher,” “Easy Come” (a personal favorite) and “Real Eyes” are three other tracks that stand out on a record that truly has no down moments. Collectively, the songs on Realize are very well cared for in their studio environment, and their arrangements leave space for experimentation in a spontaneous live setting. That’s an exciting prospect; and a great note for other artists to take. This is where artistry comes in, giving songs a basic structure that will easily allow for versatility in live performance. 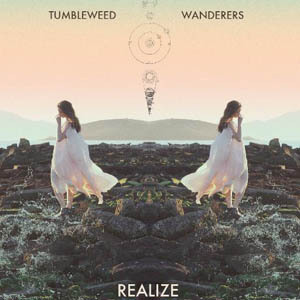 Tumbleweed Wanderers employ well-balanced, focused songwriting and the band’s hard work crafting their performances is apparent; but that makes Realize no less enchanting in its ability to create some warm and wonderful musical moments. The sometimes otherworldly sound of the band makes this a mesmerizing listen that you won’t want to end. This is great music, plain and simple. So wander on through their musical landscape and take a long listen. i love this album! I have one in my car and one in my house so I can listen to it over and over and over. These guys are so damn good!